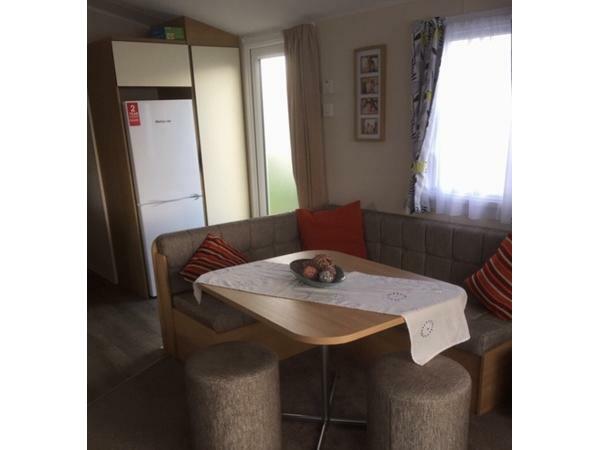 Static caravan available for hire on Lyons Winkups & Primrose. 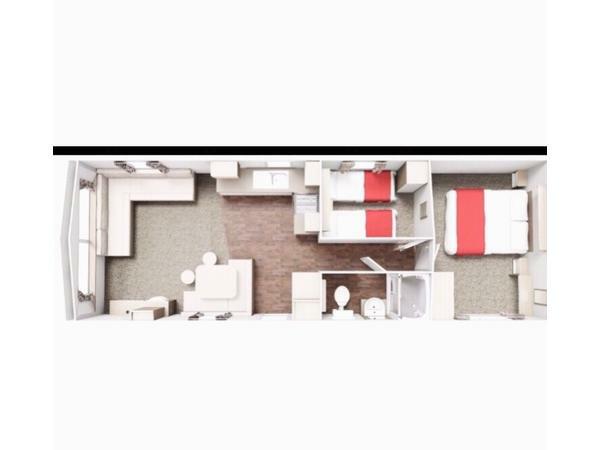 Hello and welcome to our Willerby Mistral 2 bedroom 6 berth caravan double glazed and central heating . 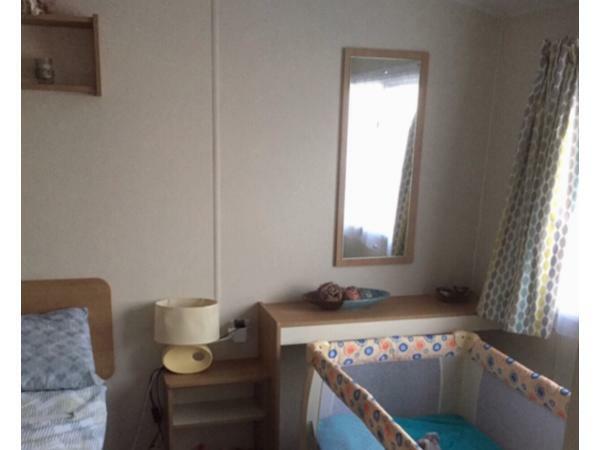 The caravan is located on Lyons Winkups in Towyn just 5 minutes from the beach. There are some fantastic facilities on site Cabaret show bar, sports bar, kids soft play area, 2 amusement arcades, American diner, coffee shop, café, outdoor play park, basketball and football area and heated indoor pool with hot tub/Jacuzzi (small charge for the pool), Fish and chip shop,launderette . 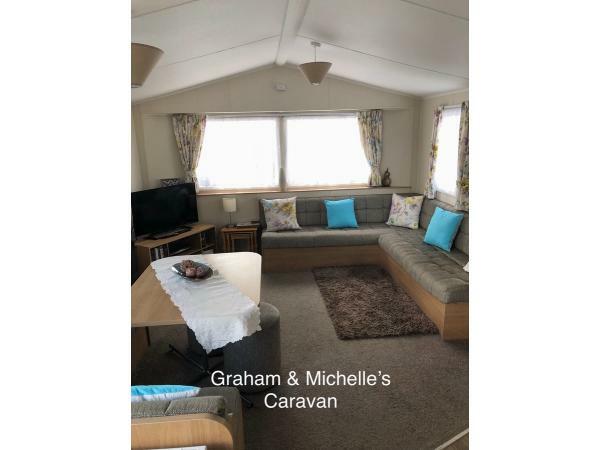 The caravan has a 40 in flat screen TV with Sky fitted,DVD player, Microwave, Toaster, Cooker, Iron and also a high chair, bouncer and travel cot for the little ones. Opposite Winkups is the Prince Market and a car boot with a fair. Only 10 minutes away from Rhyl. 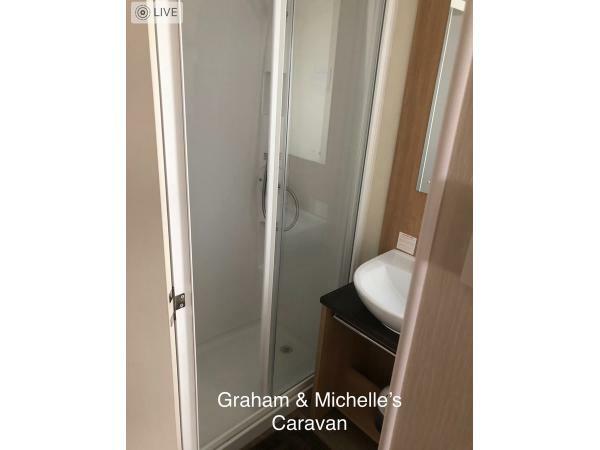 Fantastic caravan very clean, went with 2 small children having sky helped entertain in caravan. 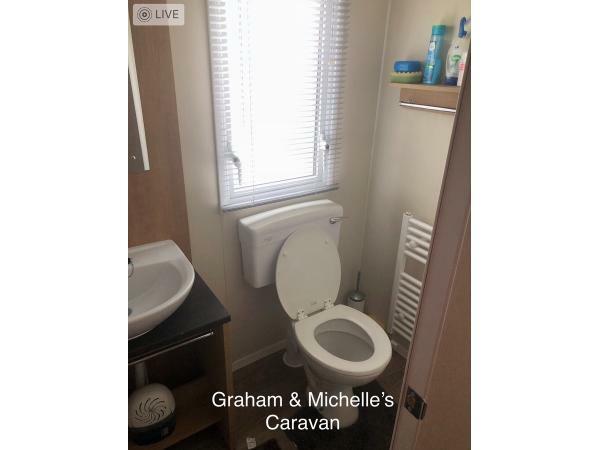 The caravan had everything you could need. Already looking to book again. 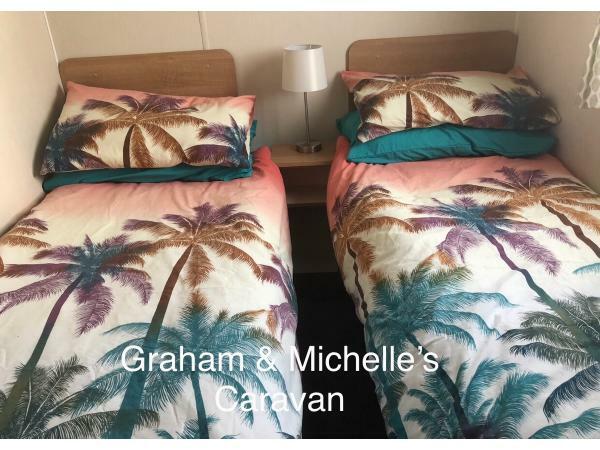 Communication from Graham and Michelle was excellent. Would highly recommend. 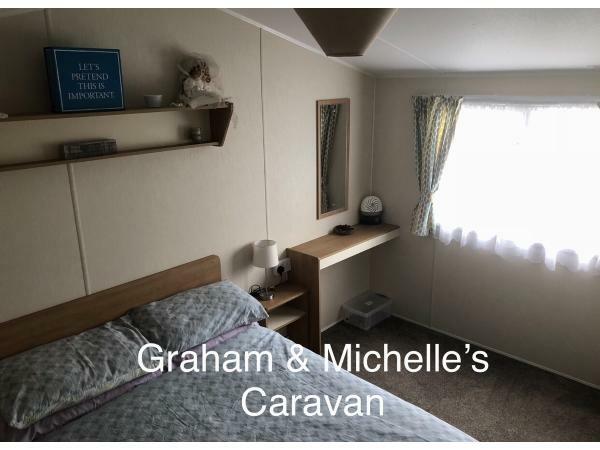 Just got back from our weeks stay at this caravan . 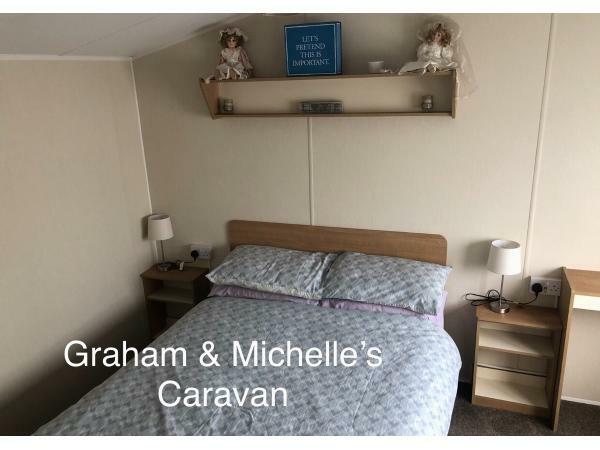 Caravan was spotless and homely , everything you need and more . 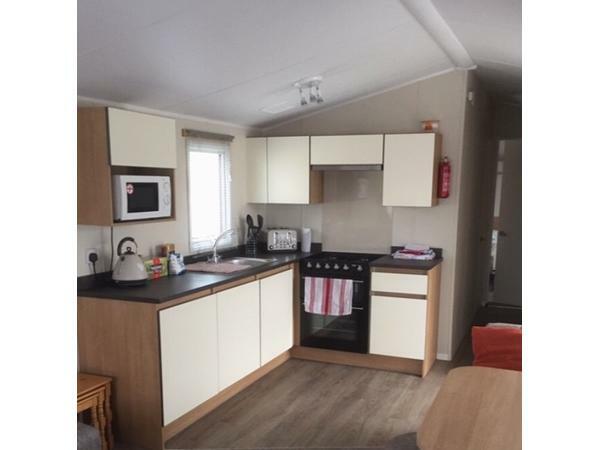 We usually end up buying allsorts when we go to a caravan for use in the kitchen but this caravan had it all . Added bonus having sky , kept my 6 year old entertained when we was in . It was a 2 minute walk to the park , few minutes walk to complex and about 5 minutes walk to the beach . Highly recommend it , can't fault it in any way . Hope to book again soon . Thank you Graham and Michelle x ??????????????????? ?